I have spent the past eleven years dedicated to the education of girls. My own experience of growing up in female environments—in an all-girls' high school and as a classical ballet student and teacher—was essential in allowing me to find my voice. All-girls environments provided the support and challenge I needed to define who I am. 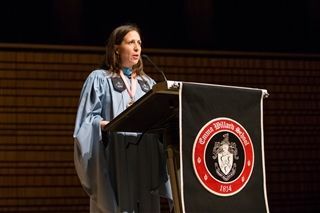 I am enthusiastic about leading Emma Willard School as a school where we foster a culture that believes that the best is yet to come, and in our school we seek not to replicate our world but to improve it. Follow Jenny Rao on Twitter! Jenny Rao grew up in Mexico City, daughter of a Mexican mother and a British/American father. Feeling the absence of role models for women in Mexico at the time, Jenny decided to attend college in the U.S. From researching schools without a college counselor, to translating her teachers' recommendations into English, to taking SAT's without ever having seen a practice test, Jenny overcame the challenges and ultimately was accepted at Bates College, Maine. 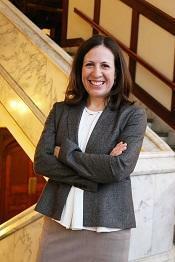 On Thursday, October 19, Emma Willard School students, current and former faculty, parents, alumnae, trustees, friends and distinguished members of the greater Capital Region officially welcomed Jennifer C. Rao as the 203-year-old institution’s 17th Head of School.